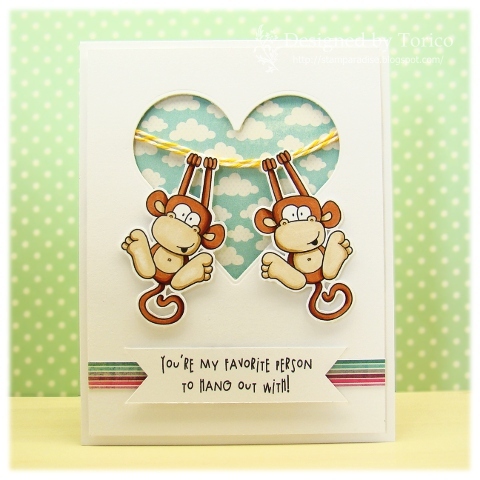 So, I can see you shaking your head from here...thinking the cards are two worlds apart! 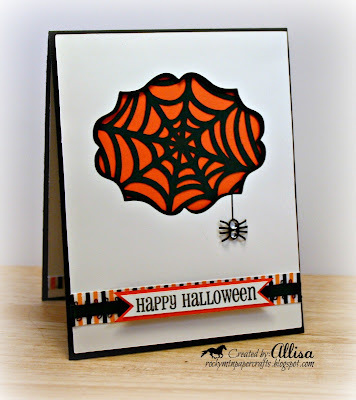 The card was my inspiration in a couple of ways.....I went with the negative die cut theme to frame my spider web. I layered ribbon on the bottom and added a banner for my saying. See....now I am sure you can see the similarities between the two cards! We could even go a step further....I have a hanging spider, vs. the hanging monkeys! 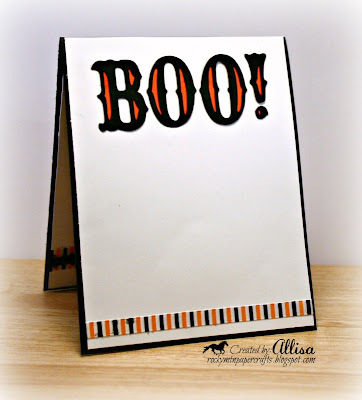 I layered orange cardstock behind parts of the Boo saying to give it more pop! It looked good in all black...but even better with the touch of orange. 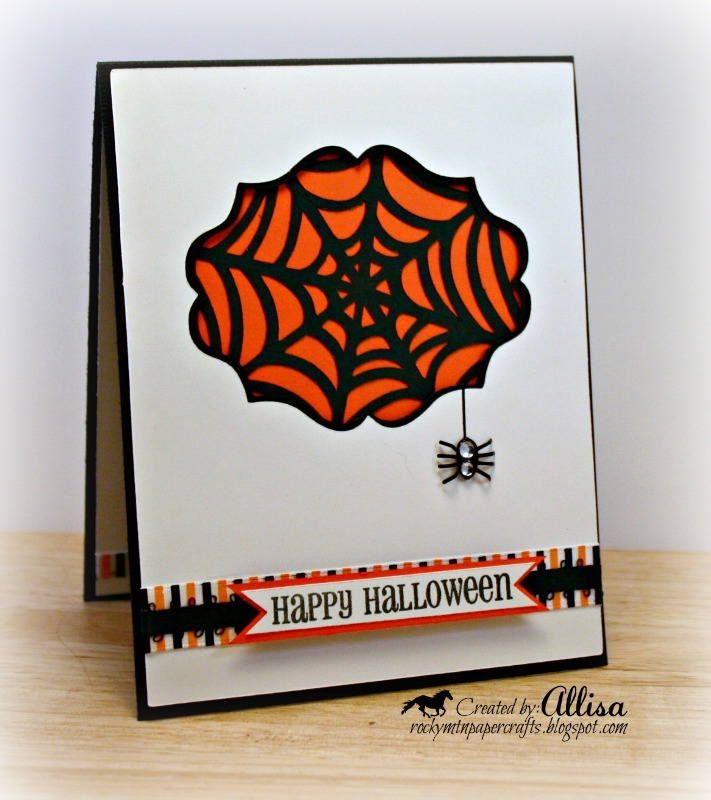 GREAT Halloween card Allisa! 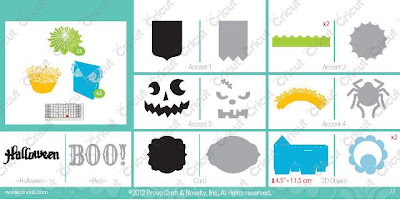 LOVE the web behind the cut out!! They are all superb, Allisa! So clever! 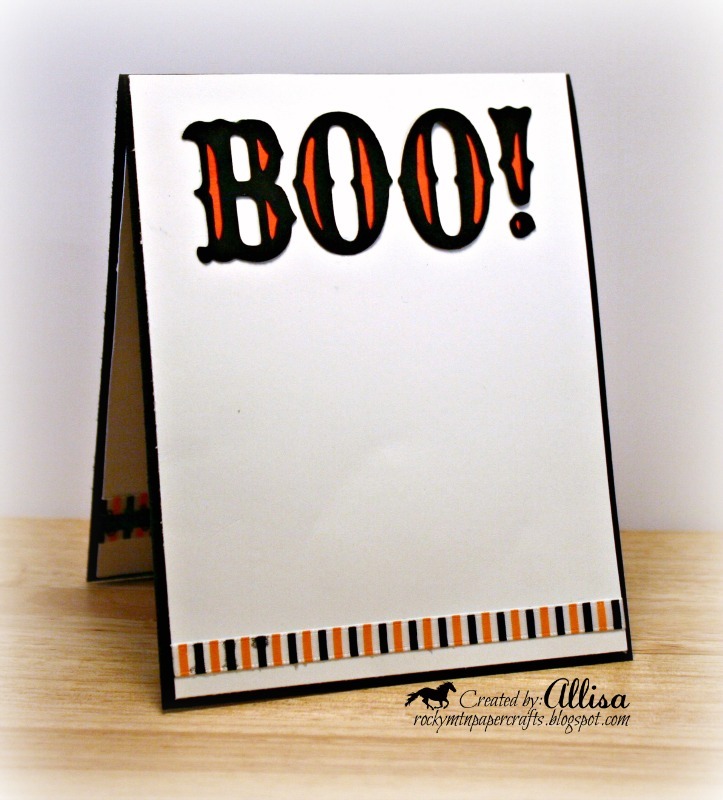 Allisa awesome cards, great CASE too! so so cute! love it! Thanks for playing with us @ 2 Sisters this week. Beautiful cards. I especially love the first one with that spider hanging there. Oh my word, this is way TOO cool! Love this card :) Thanks for joining us at CASE Study! Wow!! This is amazing! Fabulous detail and dimension!! Thanks so much for playing with us at CAS-ual Fridays! We're so glad you did! What bold color in your lovely card!! Your spider web is wonderful..."cute" spider(for a spider)! Thanks for sharing your creativity this week at CAS-ual Fridays:)! !